Part of the challenge wtith teaching the Next Generation Science Standards is how to engage students in a complex real-world situation that causes them to be dissatisfied in some way, either with what they know or can explain, or with the fact that this phenomenon even exists. That causes them to engage in an investigation that not only stems from inner motivation but that also adds meaningfully to their experience of the world. 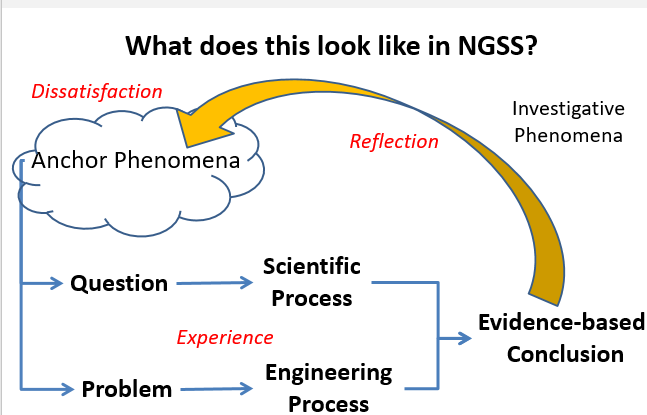 With NGSS, engagement begins with anchor phenomena, which are complex, real-world situations. 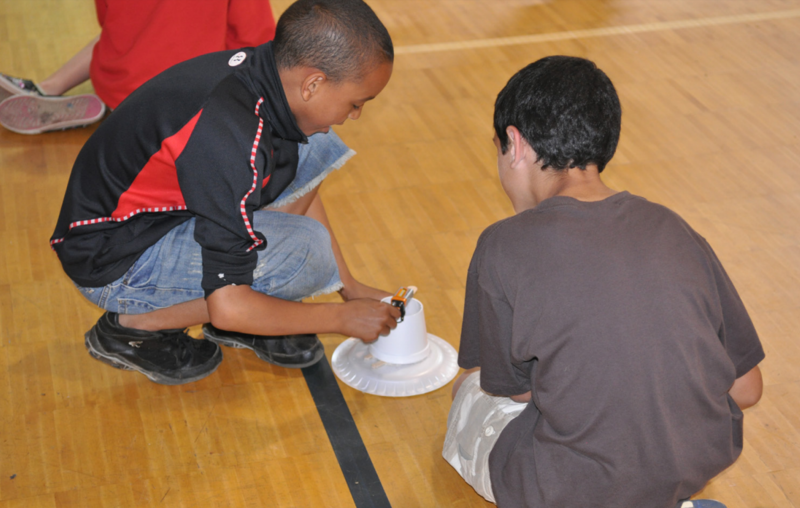 They can be investigated in the classroom through an investigation that students or student teams have planned, and are a way of encountering just a thread of often much more complex ideas. The standard K-W-L chart, which asks students to list out what they already know, what they want to learn in the lesson and what they learned at the end. The “elaborating” piece of the 5Es is about students making concept-self, concept-to-concept, and concept-to-world connections, as well as relating anchor phenomena to their investigative phenomena. Before we explore that, though, let’s define anchor phenomena, which are complex, real-world situations. They can be investigated in the classroom through an investigation that students or student teams have planned, and are a way of encountering just a thread of often much more complex ideas.